Just had a look at the Globe range of bikes from Specialized. I heard about this on the Velocast. If you have never listened to the Velocast, its absolutely essential listening. The Globe bikes are wonderful looking and I just wish they were available in South Africa. However, the pricing would probably put them out of everybodies reach. I really think that Specialized need to take a long hard look at the African market. The typical bike sold here is popularly referred to as a "Hypermarket special". 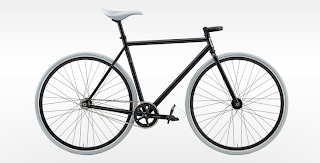 It has a steel frame and rims and really crummy components. Don't look to hard, talk to loud or stomp the ground - the wheels and frame are likely to buckle. Typically most of these bikes end up gathering dust or alternatively are given to poor people to commute (thats about 60% of people in South Africa). They in turn hate riding these bikes, break them really quickly and the whole cycling experience is ruined for all concerned. Depending on the price, Globe can fill a very important niche in the African market, but, it would have to be marketed and researched properly. I would actually like to win two or three Globe bikes and give them to my fellow commuters and work out how they respond to them. If Specialized get their South African distributor to think beyond selling top end bikes, they may well unlock a massive commuting market. Until that innovation happens, we will just continue as we have been - the poor in mini taxi's, the wealthy in cars and the bike distributors making a fortune from selling junk - thereby just replicating the same old African experience with bicycles. Years ago - in the days of BSA's, real Raleigh's and Sturmy-Archers, the poor respected and loved bicycless. Today, we see them for whats available on our markets - JUNK. Roll on Globe - lets see you take the African market with quality bikes!